Five dramatic races, five decisions just shortly before the finish line, five different winners and a close battle at the top of the standings: The fifth season of Formula E has so far surpassed all expectations. Next Saturday, at the sixth round of the season in Sanya, China, suspense galore can be expected again. In the thick of it: Lucas di Grassi from Team Audi Sport ABT Schaeffler. Following his victory in Mexico City and runner-up finish most recently in Hong Kong, the 2016/2017 Formula E Champion is in third position of the standings, separated from the top spot by just two points. His teammate, Daniel Abt, took fourth place in Hong Kong and is currently in seventh position of the intermediate classification. That Daniel and I are now in contention for trophies and victories is the result of the hard work done by the whole team,” says Lucas di Grassi. “This is what distinguishes our squad: we show our real strength when the conditions are tough and the pressure is high.” In the teams’ classification, Audi Sport ABT Schaeffler is currently in second position after five of the season’s 13 races. On visiting Sanya, Formula E returns to the Chinese mainland, to which the tourist resort on Hainan Island in the South China Sea belongs. Twice previously, in 2014 and 2015, Formula E raced in China’s capital Beijing. Its premiere in Sanya promises to become another highlight of the all-electric racing series because the 2.236-kilometer city circuit that runs across a canal not far from the sandy beaches of Haitang Bay and has three hairpin turns makes many overtaking maneuvers possible. Formula E is an FIA-sanctioned motor racing series for fully electric cars. In 2018/2019, Formula E season five, eleven teams and 22 drivers are on the grid. Formula E races worldwide on temporary circuits in the hearts of metropolises such as Hong Kong, Berlin and New York City. From December 15, 2018 until July 14, 2019, the ABB FIA Formula E Championship is holding 13 rounds at twelve venues. Each race lasts 45 minutes, plus one lap. Schaeffler is one of the co-founders and one of the most notable and successful players in Formula E, which was established in 2014. In 2016/2017, Team Audi Sport ABT Schaeffler won the drivers’ title (Lucas di Grassi) and in 2017/2018, the teams’ title (Lucas di Grassi/Daniel Abt). Schaeffler has been contributing its know-how to the development of the powertrain of Team Audi Sport ABT Schaeffler’s race cars since 2015. In doing so, the company demonstrates its expertise in forward-thinking technologies and presents ideas for sustainable mobility for tomorrow in the innovative electric racing series as well. In season five, Formula E is entering its second era. The most conspicuous innovation for 2018/2019 going forward: Every driver has only one race car anymore. 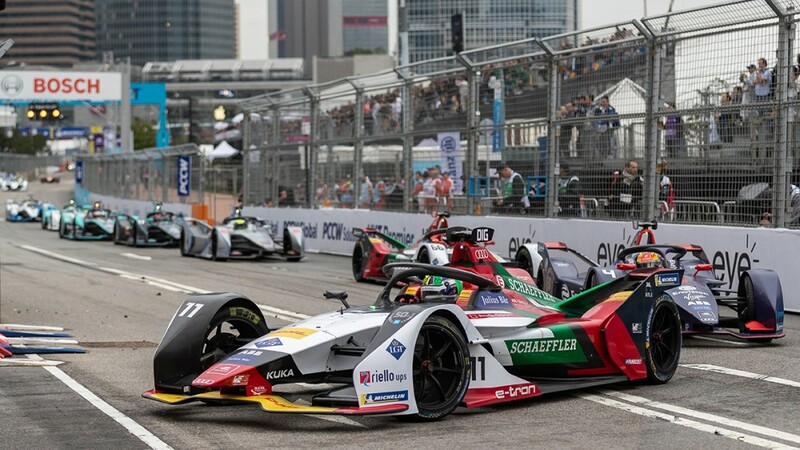 The reason is that the second-generation cars mark the end of the mid-race car swaps previously required at each Formula E event because the battery capacity is now sufficient for the entire race distance. New as well starting this season is the cars’ futuristic design without a rear wing, plus the Halo protection system above the cockpit. The new Audi e-tron FE05 was meticulously developed by Audi Sport and Schaeffler with the new technical and strategic challenges in mind. 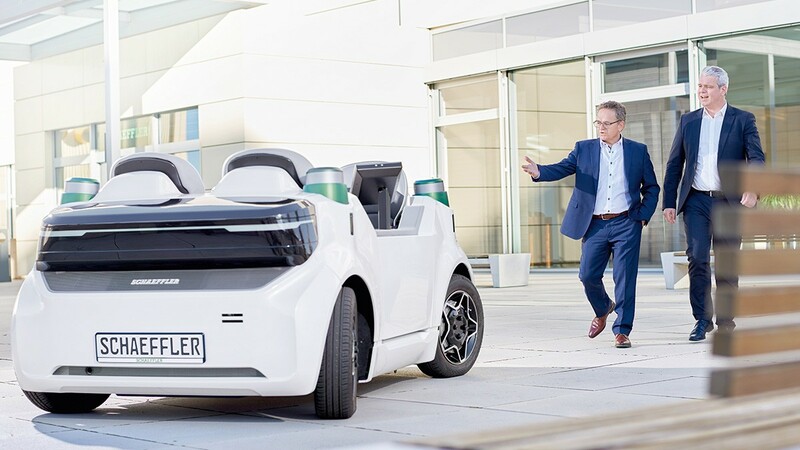 The motor-generator unit named Audi Schaeffler MGU03, the centerpiece of the Audi e-tron FE05, was jointly developed by the two technology partners. 95 percent of all powertrain components are new, having resulted in weight savings of ten percent. Two Audi e-tron FE05 cars are fielded by the Audi Sport ABT Schaeffler factory team for Lucas di Grassi and Daniel Abt.